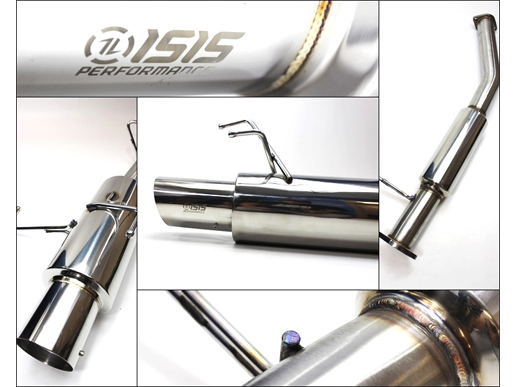 Looking for an S13 exhaust? We list all the popular S13 exhaust systems available today in the ultimate guide to choosing your new S13 exhaust. Once you have hooked up your S13 with a new exhaust why not replace that tired suspension with a brand new set of S13 coilovers? Drifted has a great guide on which S13 coilovers would be the best fit for your driving needs. Update: 19-11-2018 Updated prices and added quick summary table. Update: 13-06-2017 Added the popular Japspeed Cat Back Type 2 S13 Exhaust system to the guide. Update: 18-07-2016 Added internal pipe diameter information for each exhaust system. This is important to know if you want to choose an exhaust system suitable for a high power build. Which S13 exhaust system is right for me? 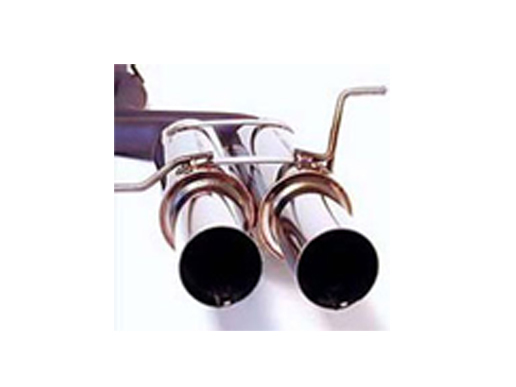 This exhaust guide gives product information, pricing, photos and video clips for each featured exhaust system. 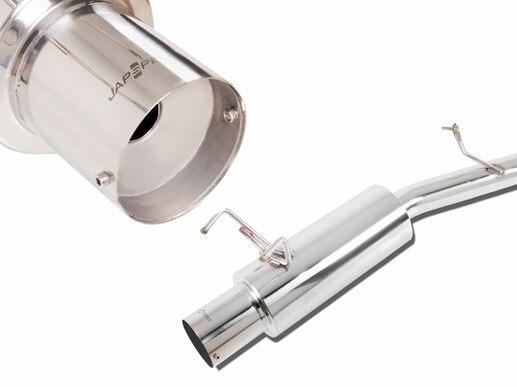 We also give links for where to purchase each exhaust system from our Affiliate partner, Enjuku Racing. Note: All of these links are pointed to our affiliate partner Enjuku Racing who are based in the United States. Asia and European purchasing links to follow. My comment: The APEXi N1 exhaust system is a classic, single can, tuner tip, free flowing race system from a well respected Japanese tuner; APEXi. You will probably know APEXi from their high profile competition cars. Good all round system. My comment: If you want the best then you had better consider the TOMEI Expreme Ti; this exhaust system is an absolute work of art. Beautiful welds and titanium construction results in incredible light weight. With only a rear muffler the sound is definately on the loud side but not quite as crazy as the Buddy Club Spec 2 that we also feature in this article. Just stunning, if you’ve got the cash – buy one. My comment: Loud! Buddy Club offers this beautifully made but definately-gonna-get-you-black-flagged for noise exhaust system for your Nissan S13. If you want to really hear your car roar this is the one for you. 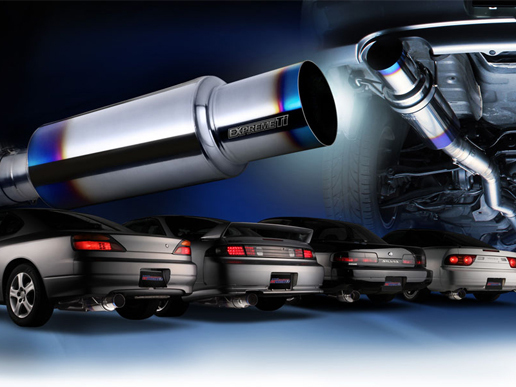 Manufacturer description: “Buddy Club Spec II S13 Exhaust for your Nissan 240sx. 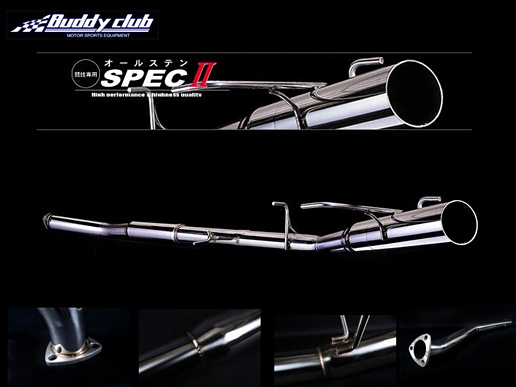 The Spec II exhaust is specially designed system for competition use only. Its simple straight thru design creates an increase of exhaust gas velocity in order to improve efficiency. 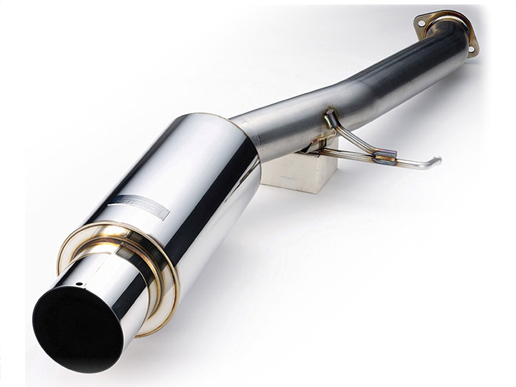 This exhaust uses a middle silencer (resonator) on the main pipe to help maintain torque in the low to mid speed range. My comment: HKS Hi-Power S13 Exhaust is one of the all time classic jdm tuner exhaust systems, moderately silenced it offers a lovely tone that should be race track friendly. Personally I am a huge fan of HKS tuning parts and this exhaust is no exception. My comment: This is a very popular exhaust style, twin chunky cans offer an aggressive look matched to a loud race car sound. My comment: This is a good looking, subtle, well built and reasonably quiet exhaust system. This system would be suitable for tracks with tight noise restrictions and it would also be good for countries with strict modification rules such as Australia. My comment: A low cost option for that Classic GT single muffler style with a medium to loud exhaust sound.This exhaust system typically receives high customer ratings so ISR are defiantly doing something right. If you are not fussy about about brand this is worth a look. My comment: Twin exit exhaust system with well silenced mufflers. 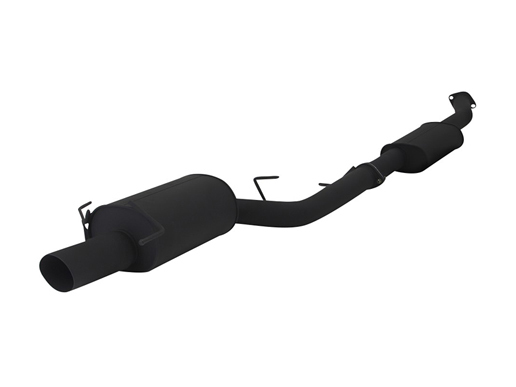 This exhaust offers high flow and track ready exhaust volume. As with the GT model this is a good low cost option if you don’t need a premium brand. My comment: Japspeed are a brand that produces upgrade parts that cater to the budget side of the market. 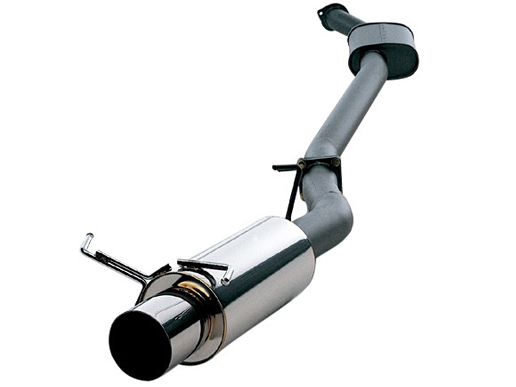 This exhaust system is very popular, no doubt due to it’s low price point and availability. The video shows that this exhaust outputs a nice, warm exhaust note without being over powering. Manufacturer description: “Fitting a cat-back exhaust is a quick, easy and cost-effective way of releasing more power from your car’s engine. This is due to the standard restrictive system being replaced with a more free-flowing system with a larger bore. Looking at all of these exhaust systems in detail I don’t believe any are trash, each system fills a specific requirement; if you want pure noise – Buddy Club Spec 2, if you want beautiful quality and lightweight; TOMEI Expreme Ti, if you want a well built good all rounder the HKS Hi-Power is hard to beat. But with any comparison there does have to be a winner and for me it is the TOMEI Expreme Ti. I just can’t get past how badass the system looks and with the manufacturer claims of + 40bhp and weight shedding of over 11kg it is undeniably the top pick for me. 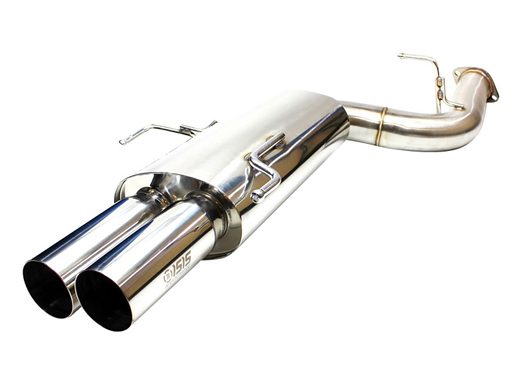 If it was my money I would be going for the TOMEI – Buy the TOMEI Expreme Ti Titanium Cat-back Exhaust (Nissan S13) today. Does your 180sx have an SR20DET? You should check out Drifted’s SR20DET tuning guide to see what you need to unlock your engine’s potential. If you have made it this far – well done! You have finished our Nissan S13 exhaust guide. If you have any corrections or updates please do help me out and drop them in the comments section below. Also if you have any suggestions on other exhaust systems we should include please let me know! Exhaust system sorted? Why not play some driving games at Drifted.com? My favourite is Madalin Stunt Cars 2.